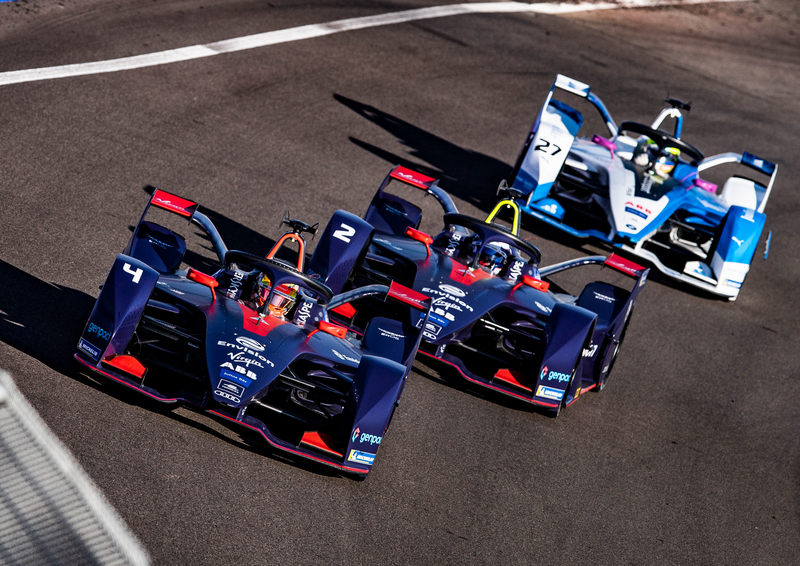 Marrakesh, January 14, 2019 – Courtesy of customer team Envision Virgin Racing, Audi became the first manufacturer to achieve a double podium with the new generation of Formula E race cars. In the second round of the ABB FIA Formula E Championship in Marrakesh (Morocco), all four Audi e-tron FE05 cars finished in the points. In addition to positions two, three, seven and 10, the extra points for pole position and the fastest race lap also went to the Audi e-tron FE05. Following the difficult season opener in Saudi Arabia in December, the new Audi e-tron FE05 with its motor generator unit (MGU), jointly developed by Audi and technology partner Schaeffler, left a strong impression in North Africa. In a race that was gripping up until the final moment, Jérôme d'Ambrosio (Mahindra) clinched victory in a one-lap sprint following a late safety car period. In a photo finish, the first seven cars saw the checkered flag within 1.633 seconds – some of them side by side. "We again saw a very thrilling Formula E race with an altogether good result for Audi," said Head of Audi Motorsport Dieter Gass. "Our two customer cars from Envision Virgin Racing with Robin Frijns and Sam Bird finished in second and third positions. 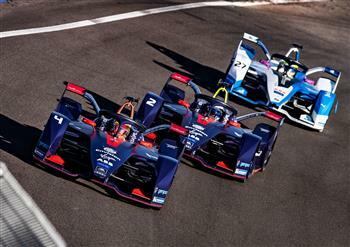 Our factory cars with Lucas (di Grassi) and Daniel (Abt), after good starts, were struggling somewhat in the end. We need to understand why they lost pace during the race." "That was a crazy race," said Lucas di Grassi. "After my fightback, I was close to taking the lead, but the safety car pretty much compromised our strategy. Seventh position and the fastest race lap – we're back in the game." "My start was really good," said Daniel Abt. "Afterwards, everything still felt good. I was already in seventh and in touch with the leading group. But after I'd activated attack mode for the first time, suddenly there wasn't a lot I could do anymore. We need to analyse why." Allan McNish, Team Principal of Audi Sport ABT Schaeffler: "Lucas (di Grassi) was fighting for a podium nearly throughout the whole race. For him, the safety car came at the wrong time. Everyone was gambling somewhat with the new attack mode; unfortunately we were unlucky with it. Daniel (Abt) advanced quickly at the beginning. He was also a little unfortunate with the safety car. The most important finding for us is that the Audi e-tron FE05 has the pace. We're happy to see two Audi cars finish on the podium here, but now we are making sure that the sun is shining on our factory team in Santiago." The Envision Virgin Racing e-tron FE05 cars finished second and third.